Today I'm excited to welcome author C.M. Gray to my blog for an interview. In conjunction with Never Too Old for YA Books, we continue our celebration of Indie authors! They become the Magician, Thief, Priest and Fighter when a magical book guides them upon a quest that pits them against magic, demons and ‘The Hawk,’ an evil hunter of men. Join a race against time to find three crystal skulls that must be brought together, while all the forces of Chaos try everything to stop them! And now, let's hear a bit from Christopher! The floorboard creaked under the sole of his felt boot - a calculated risk whenever entering a sleeping man's room uninvited. ...this turned out to be the opening line from my book, The Flight of the Griffin. It took me ages to finish, in fact I wrote and finished my second novel Shadowland before The Flight of the Griffin was complete, but that was the first line and the first time I realised I wanted to write. I watch very little television these days! I write purely for my own entertainment, so I don’t rush anything. It takes a year to start, finish and edit to my own satisfaction and then another month or so for my editor to cut out all the unwanted hyphens and commas that I’ve peppered my book with! I love to write, it’s like playing a computer game mixed with reading an awesome book and watching a great film all in one. However, when I write it’s fast and furious and I leave a trail of devastation behind me; it takes some time and a good editor to help pull it together into a proper book. Manda Scott or Stephen King have a small army of editors, proofreaders and the might of major publishers behind them to fine tune and edit, while as an indie I merely have time and Caro from Carocaro editing to help me, but we do okay! It’s important to have an original idea. Isn’t it awful when you’re reading a book and you suddenly realise that it is just like a scene in... or, didn’t they have a magic ring like that in... or... this heroin sounds just like Lara Croft! Author’s, don’t try and rewrite The Lord of the Rings or Gone with the Wind, it’s been done already! I write at strange times and only when the mood takes me. Mostly I write at night, if the story is really flowing I will often write all through the night. There are also times when I will give up after a few minuets; if the story isn’t flowing I won’t push myself or sit and write gibberish. Some writers will plan out and know in advance how their story is going to progress, but I really enjoy being as surprised as my readers. I sit and let my story flow, not knowing what is coming or how it will end. So far, this approach has been an entertaining and successful way for me to write. One of the good things about being an indie rather than being tied to a big publisher is that nobody is telling me what to write or how to write it. I think if I was told to write in a certain way or churn out a third book in a series, I might loose the pure pleasure that I find in the writing process. I’m married with two wonderful children, Yasmin aged seven and Dylan who is eleven, they’re my biggest fans and in many ways the reason I write. However, there’s no point in me sitting down to write if they are anywhere near me, hence the need to write in the hours of darkness. I don’t think writing needs to take over an author’s life, if it is a passion then it will find its own place and rhythm, it certainly does for me. Well firstly I’ve always been a huge reader of all types of books, from adventure books to books on spirituality and religion. I loved the books of John Steinbeck as well as the fantasy works of Stephen Donaldson and Tolkien. I also read reference and history books. I read a whole lot on the dark ages, Saxons and druids for my book Shadowland and really loved the writing process after, armed with the knowledge of what life was really like back then. Also, a lot of my inspiration comes from having travelled so much. I’m an Englishman but have lived outside of England for many more years than I ever lived in England. I lived and worked in France, Holland, Israel, India, Hong Kong and the Philippines, and a lot of the places I’ve seen and experienced do appear in my stories. However, to be totally honest I really just make it all up as I go along, giggling to myself and being generally mad. As I mentioned, I write for my own amusement, it’s only when it’s all done and dusted that I crave readers. It’s like cooking a great meal, tastes good to me, but what do others think! I’ve learned several surprising things, firstly that I am among many who have ‘written a book.’ Before finishing my first book I had never met anyone else who had done it. I thought it was just a case of get a publisher and I would sell millions of copies... truth is, there are millions of authors out there. Some good, some great and many bloody awful, but they all did what I did and wrote a book. I was also shocked by the contempt felt by many that an indie author would actually look for readers without going through one of the big publishers. It’s better than it was a few years ago but indie authors are still the lepers of the publishing world, even if your book has a bunch of great reviews! No, my imagination is far too unrestrained to use people I know. As a writer I get to build up the perfect character and put them into scenes where I can feel their reactions and help them to grow. My characters are all very real in my mind, which is the safest place for them! I have an idea of my perfect place; a really comfortable chair at a desk at just the right height. Log fire in the wintertime and open doors to a gentle breeze in summer... can I have a river at the bottom of the garden? course I can, and it would be deep enough to swim in on a hot summer evening, maybe a few trout... but no, I sit where I find space for my laptop and put up with drafts in the winter and a dodgy air conditioner in the summer and mosquitoes driving me nuts - such are the realities of life. 11. How hard is to get published? Very, very hard to get published in the ‘traditional’ way, through an agent and then a publisher. 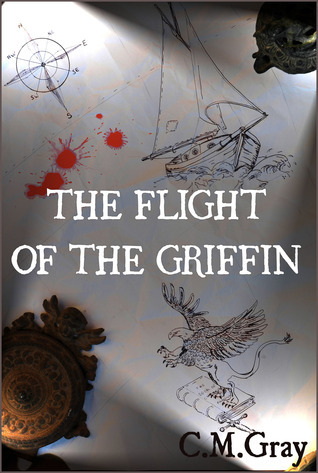 I went that route with The Flight of the Griffin, got an agent in London and learned that my book was being sought by two major publishing houses. Film rights were being discussed along with US rights and European rights. A third publisher suddenly came on the scene, even phoning me directly at home, more discussions took place, I feverishly kept writing and tried to ignore all the excitement... and then my agent said that because there was too much magic in The Flight of the Griffin and Harry Potter was just sooooo great that all the publishers had pulled away.... huh? I gave up writing for about a year at that point. A friend then mentioned the Kindle Direct Publishing option on Amazon and I decided I would go it alone. I now have my books on Amazon, Smashwords and in paperback on Amazon and Lulu. Sales are growing and I can go at my own pace so I’m happy. Publishing ebooks is the best option for an indie to start with and Amazon has a wonderful programme. My number one fan is my son Dylan; he’s eleven and loves my books which is all I could ever want. My wife has never read anything I’ve written (hmmmmm) but everyone else I know has read and said nice things, but then they are friends and family so I have no idea what they ‘really’ think. What really gets me excited is when someone I’ve never met writes a review and tells the world how much they have enjoyed my story. It makes my whole day when I get a new review, so if you’re a reader please be a reviewer as well, us authors need your feedback to spur us on! My day job is raising both money and awareness for a company that replants the rainforest in places like Brazil, Cameroon and Ecuador, which is hard work but fulfilling. I love to go fishing and to camp out in the wilds of the Spanish Pyrenees and gaze up at the stars. I also play guitar and sing badly when I’ve drunk a glass of wine too many, and have practised Aikido for many many years, something I now also teach my children. The best advice I can give is relax, enjoy the writing process, take your time and don’t ever believe you can do all the editing yourself, get a professional editor. Also, something I’m not great at but build up a social networking base, even before you publish. Set up facebook, twitter and a blog right now. I’m still trying to find time to put a website together, it takes time and I procrastinate too much because I prefer to spend my time writing, but I do have a blog (http://flightofthegriffin.blogspot.com) which I try to update. From an early age all I really wanted to do was travel and explore new places. I had no idea of what profession I wanted to follow. I hated school, mainly because I just wanted to get out and adventure. I spent my seventeenth birthday in Paris, finally free, went grape picking in Burgundy (where I later bought an old farm) then down to Greece, then Israel, India and Asia; I’ve been travelling ever since really. I’ve been a carpenter, a church organ restorer, a farm worker, a salesman and a stock broker! Finally, now, I know I just want to write and all that came before was just research so that I could write great books! I live in Spain, just outside Barcelona in the forest and feel at home. My all time favourite author was John Steinbeck. Reading a Steinbeck novel makes you realise there is such a thing as perfect writing, it’s as if no word is out of place, nothing could be added or taken away. I’ve read all is books many times. My current favourite writer is M.C.Scott. I loved her Boudicca series and have now recently started her Rome series. I love historical fiction, as you can see with my book Shadowland which is set in the dark ages of Britain, M.C.Scott researches everything so well and really brings the period she is writing about alive. If you haven’t read her books then you really should give them a go. 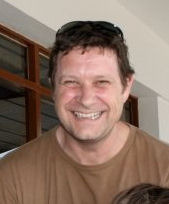 I also read indie authors of course and suggest you read the books of fellow YA author Rod Tyson. If you like a read that will scare the willies out of you, read Rod’s book, The Orphan Stone, its awesome! I think it’s important to understand how difficult it is to get published through a publisher. Most require that you get an agent first, which is also a difficult process even if you have written the next sensation. Both agents and publishers receive hundreds if not thousands of manuscripts every day, your precious book, which you sweated blood over for the past twelve to eighteen months, gets thrown onto the ‘slush pile’ and there’s a good chance it won’t even get glanced at. If someone does pick your manuscript up its future will be decided in the first few pages... if you’re really lucky, so make those first few pages really good! Do get a professional editor; I can’t say that too many times, that’s a big one. Do think of the indie publishing route and start with Amazon. As far as don’ts go, I think one of the main ones is don’t ever respond to negative criticism, because that can only end in tears. Someone recently loved my book Shadowland, said some very complimentary things about the story and my writing style, but then dropped me two stars because there wasn’t any romance... huh? Not really my fault, made me cross, but no point getting into a debate about it. Right now I’m in the final chapters of a sequel to The Flight of the Griffin, it’s called Chaos Storm and will be out before the end of the year. 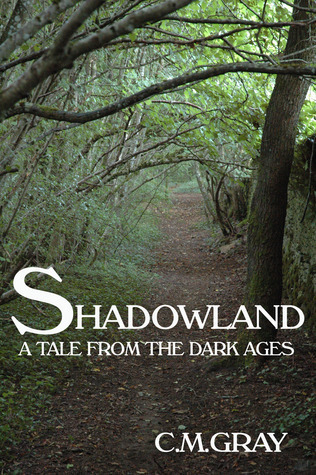 I’ve also been asked on numerous occasions to write a sequel toShadowland, but I think when I start the next book it will be another stand alone story, probably set at some point in history as I do like to mix known events in with my own tale. Maybe you could all read my books then tell me what to write next, hmmm?